This course will provide understanding and pedagogy of how English Language Learners (ELL) require comprehensible content in the classroom setting. 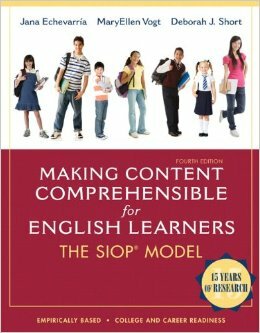 Through the researched based SIOP model, this course seeks to improve teaching instruction to ELL’s through integration. By exploring effective teaching strategies and supportive practices in the classroom, the new or veteran teacher will improve method delivery strategies. With recent Common Core standards and the steady increase of ELL’s in the academic setting, teachers find themselves underprepared. Expansion of second-language-acquisition pedagogy is crucial to the next generation of educators. Educators will have a working knowledge of SIOP model features and provided frameworks. Teachers will write chapter outline reviews, develop an application essay, create a lesson project activity and observe a case study. Educators will utilize the course content as it applies to classroom instruction and learning environments.